I have been preaching for a long time now that finding a support group is really essential and this is the #1 item on my list of Resources. Have you joined one yet? In addition to local community groups that meet in-person, you can find support groups online, specifically Facebook. They have been created and are managed by and for women who are considering mastectomy, preparing for one, or have already been there done that and are there to support those that haven’t (other topics related to hereditary breast and ovarian cancer are also frequently discussed; this varies by group). Bonus: if you write a relevant blog, join us in the Breast Cancer & Previvor Blogs group. These are all closed/private groups, which means you cannot see the posted content unless you are a member. If you’d like to join one, find the group (follow my link or search on FB) and click on the Join Group button in the top right corner of the group page. A few of them require the requesting person to friend one of the administrators and complete a questionnaire before they can participate, so keep an eye on your FB inbox (including the “Other” inbox). Come on down and join us! I’m happy to assist anyone that is interested. Contact me. 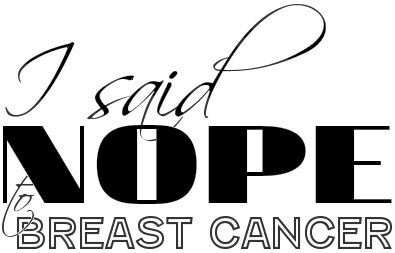 This entry was posted in All and tagged Community, Contact others, Experience, Facebook, HBOC, health, Hereditary breast and ovarian cancer, Prophylactic mastectomy, Sisterhood, Support group on September 10, 2013 by nope2BC.